Two DVC students sing "Forged by Fire", honoring those who have lost something or someone in the California fires. On Nov. 10, the auditorium in the music building was dark, as only the instruments were under light at center stage. People had to stand in the isles waiting to see the initial set, and for the first time in Diablo Valley College history, the music department held a concert that molded together the genres of rock and hip hop. “I thought it was going to be more of like a learn how to be a roadie class, but it turned out to be a learn how to perform class,” said lead guitar and vocalist Dillon Brookey. He had been discussing how the live production course led to his performance. Brookey had a standout set that night, which left such an impression that two DVC students followed him backstage after the concert. One of them was speechless, but when her friend finally spoke, there was only praise for Brookey’s voice. The Rap Rock Ensemble Concert was created by Dr. Terence Elliott, DVC’s music professor. He teaches rock theory improvisation and live production with stagecraft, both of which had student performers at his concert. 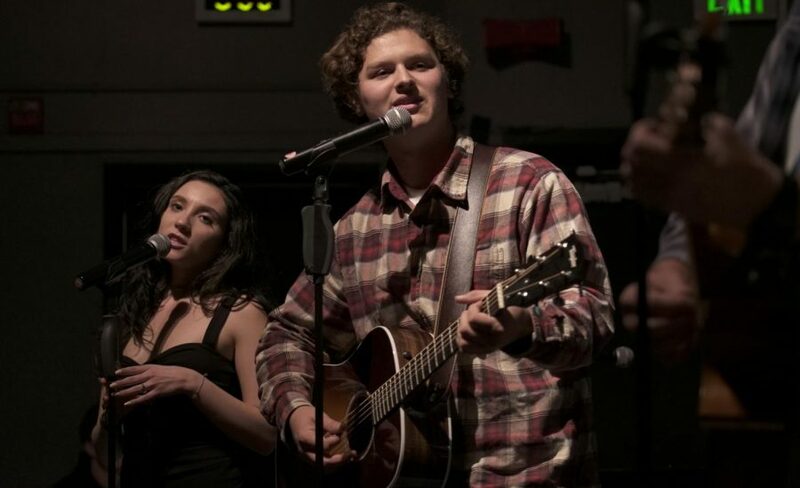 What Elliott’s accomplished within the music department goes further than promoting student musicians; even though he’s had a history of connecting independent artists with the music industry, as stated by performers who’ve taken his course. The classes Elliott teaches were originally founded by Steve Sage, renowned guitarist and professor of music at DVC. Sage passed away in 2017, leaving a void in the department. Sage had been struggling with cancer for over a year, and when he passed, Elliott had an opportunity to pick up the mantle. “Dr. 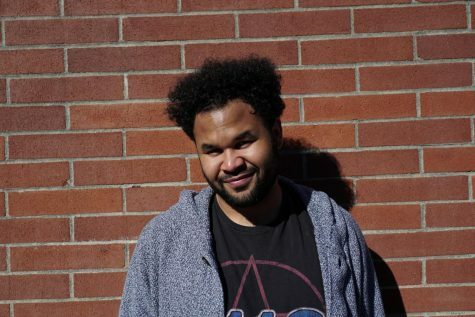 Elliott, this is the second semester he’s actually brought this class back, and it’s just bringing original music from kids at DVC, and it gives them a platform to speak what’s on our mind and so I’m about it,” said lead vocalist Tj McCarty. McCarty embodied the alternative musical blend envisioned by Elliott. His song, “One and Only,” was an amalgamation of a couple genres, but mainly R&B. On the front of the pamphlets handed out at the ticket booth, “Spreading Love,” can be read in bold, which was also the title of their closing song. The event was an array of different artistic visions, emulated through creative clothes worn by some of the performers. Bands like K.P. Gram$ and the Funky Metal Alliance also brought a unique sound to their audience. From rock fused folk in Brookey’s performance, to r&b mixed with hip hop by McCarty, the Metal Alliance ushered in a completely new tone. There came a wave before and after Metal Alliance’s set, where bands utilized a new method, some of which involved heavy metal screams, while others rapped the usual bars of hip hop. “The main thing that brought everyone to the class and then made Dr. Elliott want to lead the class, was this sense of togetherness based around music,” said Kolbe Hockel, one of the drummers who gave a stark presence. A great example of that unity was created by Cole Barberini, Robert Bullock, Chris Breeze, John Jennings, John White, Abbie Vanskike and Claire Gonsalves in their performance of, “Forged by Fire.” It was inspired by the flames that have been set ablaze across California. The crowd fell silent over the cords strung, while footage of houses burning and families rushing to safety played on the overhead projector. It was a mix of folk and rock, harking back to the era of beatniks, followed by creative acoustic notes. Their performance revealed how hard times can still bring people together. When McCarty was asked what he thought about the positivity shown at this event, he ended with another piece of wisdom. “I mean I love it, first and foremost, anybody that knows me knows I love to laugh. I love to have a good time and I’m just about the good vibes,” said McCarty.